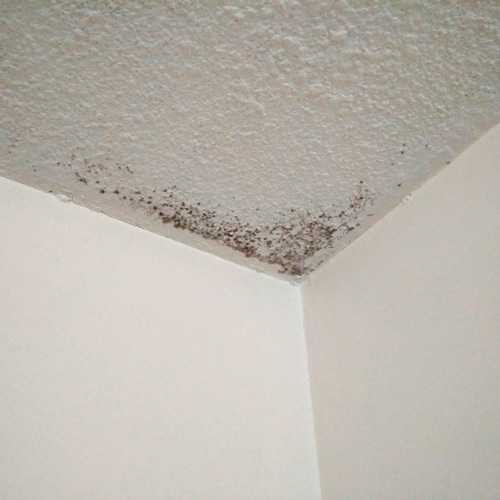 I have mold in the ceiling – what should I do? Liquid moisture examples are a flood, water pipe burst, exterior failure of building components, roof leaks or anything directly associated with water penetration inside building components. In these cases often the interior of the drywall or plaster will have a much higher amount of mold than the visible exterior components. Examples of Airborne moisture is when humidity on the interior is above 60%, and as air evaporation tries to escape through poor insulated ceilings, condensation is created by the extreme differences of temperatures. Often this results in the interior corners of the ceilings creating mold on the surface of the components. A professional inspection can determine the cause and provide a solution and plan to remove the mold in the ceiling. Call us for a free inspection at 416-791-8020.